We all have those Halloween stories from when we were kids. Mine happens to be the Halloween blizzard of 1991. Ask anyone from Minnesota, they'll tell you how crazy it was!! Over 20 inches of snow in a single day, this was seriously a kid's worst nightmare on Halloween night! We drove around for a few minutes that year to trick or treat, but living in the country, the roads were pretty much impossible to navigate and we headed back home soon after. Talk about being a disappointed eight year old. On a normal Halloween, my siblings and I would empty our overflowing bags as soon as we got home. We sorted, traded with each other and stashed away our goodies! One advantage of living in the middle of nowhere in the 90's.... gift bags full of candy from every house! We would also score cans of pop, homemade popcorn balls and bags of chips! BUTTERFINGER® Fun-Size have always been one of my favorites, so I was always excited to see one thrown in my trick or treat bag. BUTTERFINGER® Fun-Size are the perfect candy bar to add to your trick or treat bowl on Halloween night! I love the crunch when biting into them and one bar is the perfect serving size to satisfy a chocolate craving. They're great to have them on hand for parties, movie night or re-purposing them into a recipe for an extra special treat! I recently made these fantastic Butterfinger and Sugar Cookie Ice Cream Sandwiches for an afternoon snack. 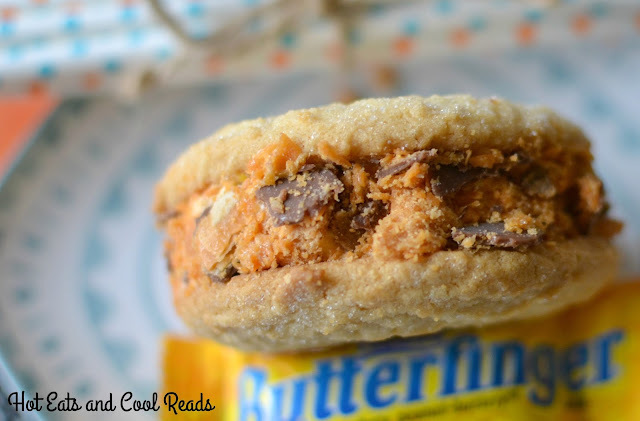 The Butterfinger added a touch of delicious chocolate and peanut buttery goodness! It's a great recipe to use up those extra BUTTERFINGER® Fun-Size after Halloween and you can pretty much use any cookie you have on hand. 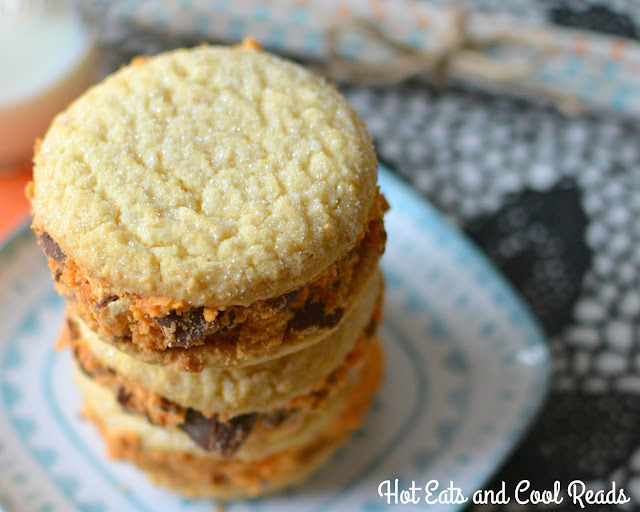 I happen to be a sugar cookie lover, so I used them in this recipe! BUTTERFINGER® Cups Fun-Size or BUTTERFINGER® Peanut Butter Cup Minis would also be fantastic in this recipe! I hope you enjoy this fun and tasty ice cream sandwich! What's your favorite way to use leftover BUTTERFINGER® Fun-Size? Crunch BUTTERFINGER® Fun-Size bars in their packages, until slightly crumbled. Put three bars into one bowl, and the fourth into a separate bowl. Remove ice cream from freezer, soften. Scoop ice cream into the bowl with one BUTTERFINGER® Fun-Size and mix to combine. Scoop ice cream onto three cookies, and top with the additional three cookies, squeezing down slightly so the ice cream reached the edges of the cookies. Press crumbled BUTTERFINGER® Fun-Size into the ice cream on the edges of the cookies until completely coated. Return to freezer and freeze until hardened then serve! Make sure to check out the BUTTERFINGER® Fun-Size display at your local Walmart and also get the ingredients to try out this recipe! If you loved this recipe, stop by the BUTTERFINGER® Pinterest page here for more ways to use BUTTERFINGER® Fun-Size, BUTTERFINGER® Cups Fun-Size, and BUTTERFINGER® Peanut Butter Cup Minis! Also, join Ibotta and earn $1 here! Oh my gosh! What a fun Halloween treat. Oh my gosh, a thing of beauty! I can't think of a better way to enjoy butterfingers! Living in NE Ohio, I can commiserate on the snow on Halloween thing. It's such a bummer! You just never know what kind of weather Oct 31st will bring! 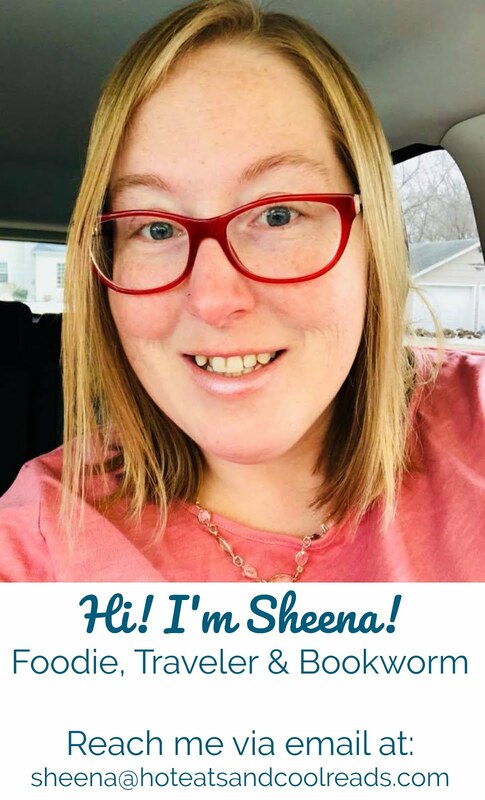 I love Butterfinger candy bars! They have always been a favorite of mine! Your recipe looks good for using leftover Butterfingers! 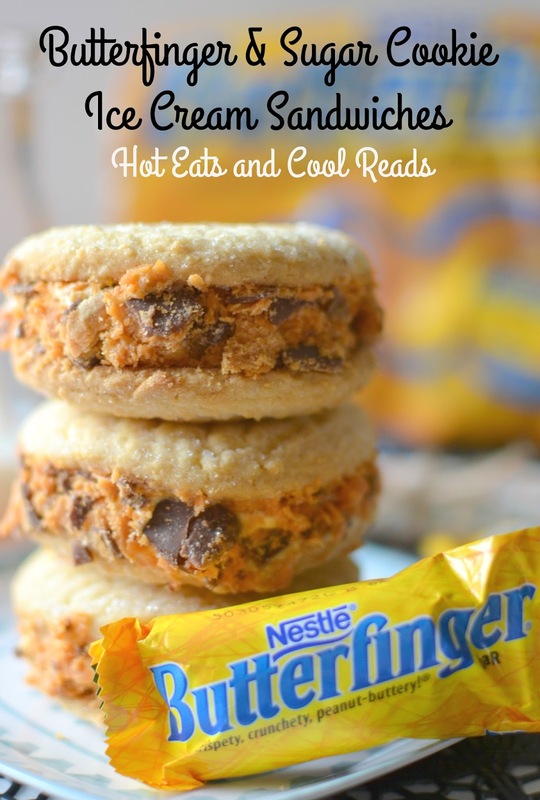 I think I might just have to buy butterfingers so I can make this tasty treat! Easy and tasty! Great recipe! What an easy fun treat! Great way to use that leftover Halloween candy. I am a sucker for Butterfingers AND sugar cookies, so these are right up my alley! :) Looks amazing!